Classic styling is provided within this 4 claw emerald cut diamond solitaire engagement ring with fine tapering shoulders. Our classic four claw Emerald cut Diamond solitaire Engagement Ring features traditional styling elements such as the tapering court profile band with slim narrowing shoulders rising to the beautifully subtle Emerald cut Diamond. 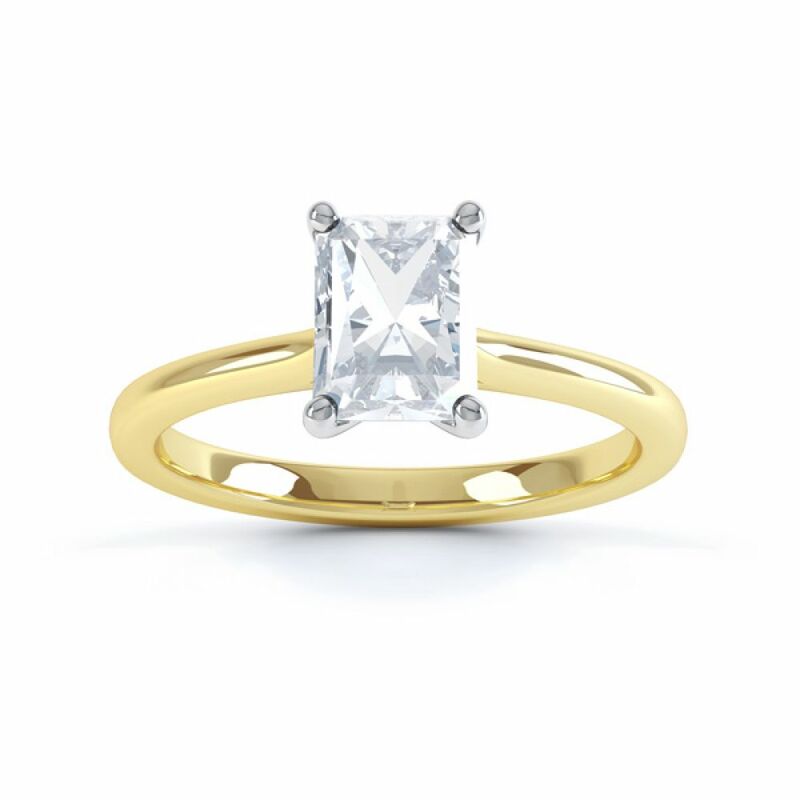 We recommend a VS1 clarity minimum where possible for this Diamond cut. 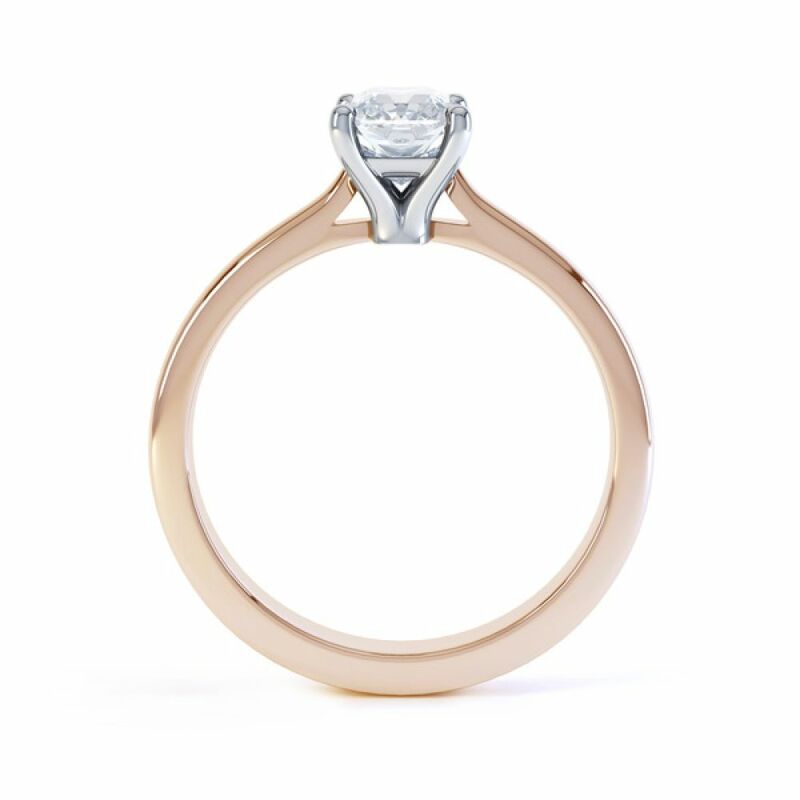 Most options include full Diamond certification from GIA or IGI laboratories, and is available in a choice of precious metals including Platinum, Palladium, 18ct White Gold, 18ct Yellow Gold and 18ct Rose Gold. 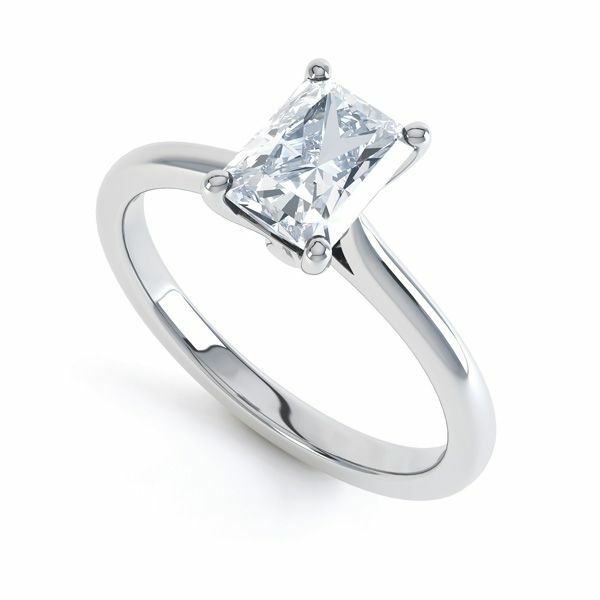 Please allow 3-4 weeks for delivery straight to your door, in our discreet packaging, ready for your proposal.